Hardcover, 9 x 10.5 in. / 248 pgs / 233 color. Gauguin: Metamorphoses explores the remarkable relationship between Paul Gauguin’s rare and extraordinary prints and transfer drawings, and his better-known paintings and sculptures in wood and ceramic. Created in several discrete bursts of activity from 1889 until his death in 1903, these remarkable works on paper reflect Gauguin’s experiments with a range of media, from radically "primitive" woodcuts that extend from the sculptural gouging of his carved wood reliefs, to jewel-like watercolor monotypes and large mysterious transfer drawings. Gauguin’s creative process often involved repeating and recombining key motifs from one image to another, allowing them to metamorphose over time and across mediums. Printmaking in particular provided him with many new and fertile possibilities for transposing his imagery. Though Gauguin is best known as a pioneer of modernist painting, this publication reveals a lesser-known but arguably even more innovative aspect of his practice. 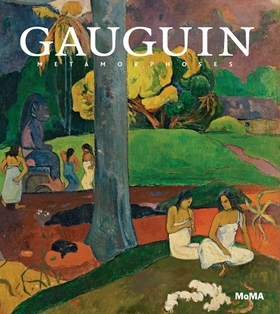 Richly illustrated with more than 200 works, Gauguin: Metamorphoses explores the artist’s radically experimental approach to techniques and demonstrates how his engagement with media other than painting--including sculpture, printmaking and drawing--ignited his creativity. 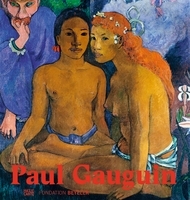 Painter, printmaker, sculptor and ceramicist, Paul Gauguin (1848–1903) left his job as a stockbroker in Paris for a peripatetic life traveling to Martinique, Brittany, Arles, Tahiti and, finally, the Marquesas Islands. 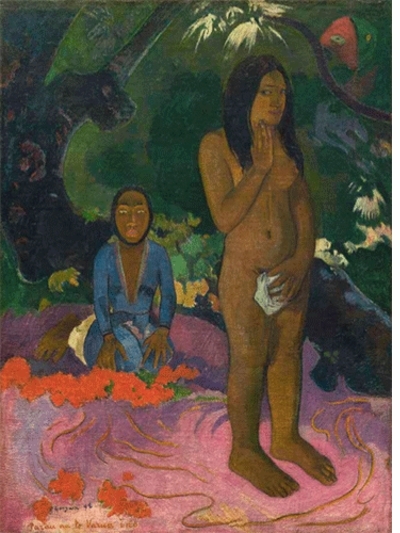 After exhibiting with the Impressionists in Paris and acting as a leading voice in the Pont-Aven group, Gauguin’s efforts to achieve a "primitive" expression proved highly influential for the next generation of artists. Starr Figura is a curator with the Department of Drawings and Prints at The Museum of Modern Art, New York. Elizabeth Childs is Department Chair of Art History and Archaeology at Washington University in St. Louis. Hal Foster is an American art critic, historian and Guggenheim Fellow; he has taught at contemporary art and theory at Cornell University and Princeton University. Erika Mosier is an associate conservator at The Museum of Modern Art. Lotte Johnson is a curatorial assistant with the Department of Drawings and Prints at The Museum of Modern Art. 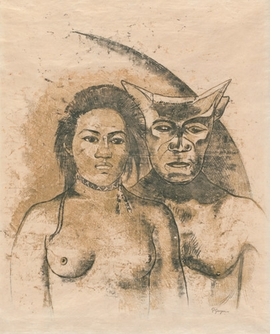 "Tahitian Woman with Evil Spirit," recto. 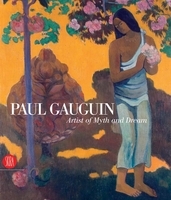 c. 1900, is reproduced from Gauguin: Metamorphoses. As important as painting obviously was to Gauguin, this exhibit argues that his efforts in printmaking and drawing were just as significant. If you can have only one Gauguin book, the Museum of Modern Art's catalog for its "Gauguin: Metamorphoses" exhibition last spring is a very strong candidate. It is distinguished by excellent essays by Starr Figura, who organized the show, as well as by Elizabeth Childs, Hal foster and Erika Mosier. Moreover, its multimedia approach places new emphasis on the way motifs migrated among the artist's woodcuts, transfer drawings, carved wood sculpture, paintings and ceramics. 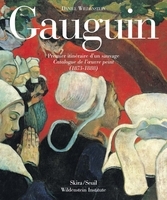 The result is a much expanded sense of Gauguin's inventiveness, his working methods and how much he accomplished during his relatively brief maturity. FORMAT: Hbk, 9 x 10.5 in. / 248 pgs / 233 color.